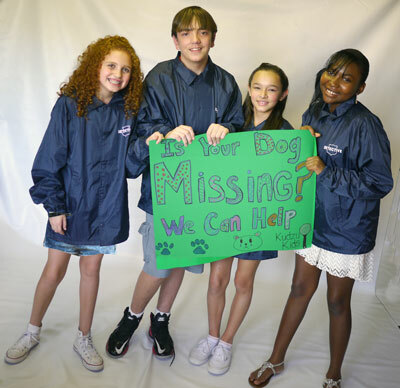 Will you help the Kudzu Kids find the pets who've disappeared? Animal lover Zina Jacinto noticed the number of missing dog posters at her local pet supply story balloon over the just a few weeks, and she became increasingly concerned. When her young friends, the Kudzu Kids, came to visit, Miss Zina told them about her fears for the missing pets. Emma, Zach, Melody, and Rachel jumped into action and said they'd find out what or who was behind all the disappearances. Ready to begin your investigation? Click the button below to begin. Then use the yellow arrow buttons to view the case files. For more information, visit the Help section.